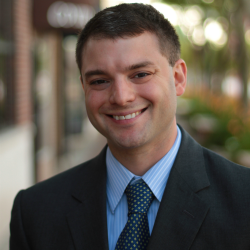 Vincent Vernuccio is a senior fellow of labor policy with the Illinois Policy Institute. He also serves as director of labor policy at the Mackinac Center for Public Policy. He is a graduate of the Ave Maria School of Law in Ann Arbor, Michigan. Under President George W. Bush he served as special assistant to the assistant secretary for administration and management in the Department of Labor. Vernuccio has published articles and op-eds in such newspapers and magazines as The Wall Street Journal, New York Times, Investor’s Business Daily, The Washington Times, National Review, Forbes and The American Spectator. He has been cited in several books, and he is a frequent contributor on national television and radio shows, such as “Your World with Neil Cavuto” on Fox News and “Varney & Company” on Fox Business Network. He has advised senators and congressmen on a multitude of labor-related issues, and testified before the U.S. House of Representatives Subcommittee on Federal Workforce, Postal Service and Labor Policy. Vernuccio lives in Ann Arbor, Michigan. Can unions really get workers fired in Illinois?